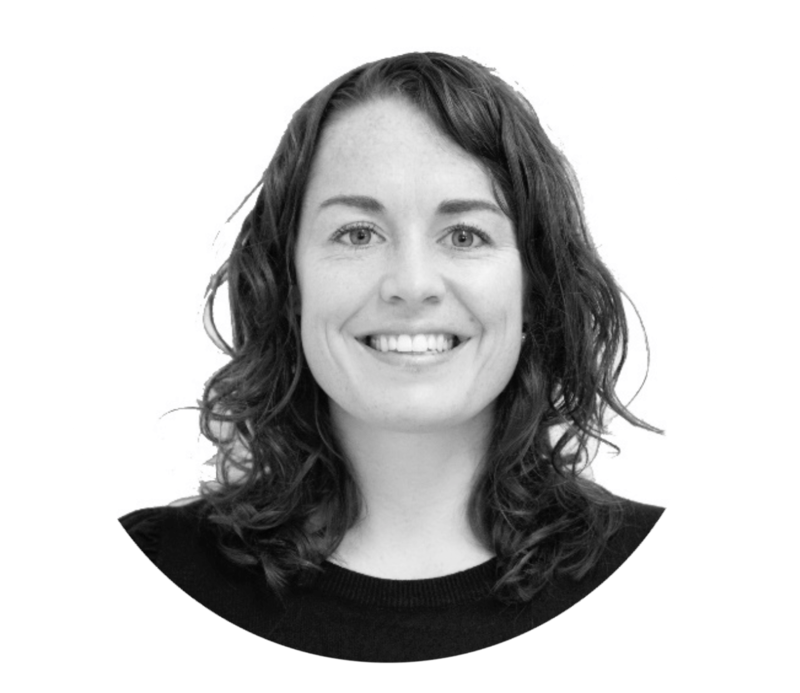 REED is an industry leading specialist recruiter. We’ve been working in partnership since March 2018 to improve commercial ROI on the website through strategic content marketing. Adding greater depth and insight through data journalism to existing articles and videos to ensure content was backed by data and credible / reliable as a result. 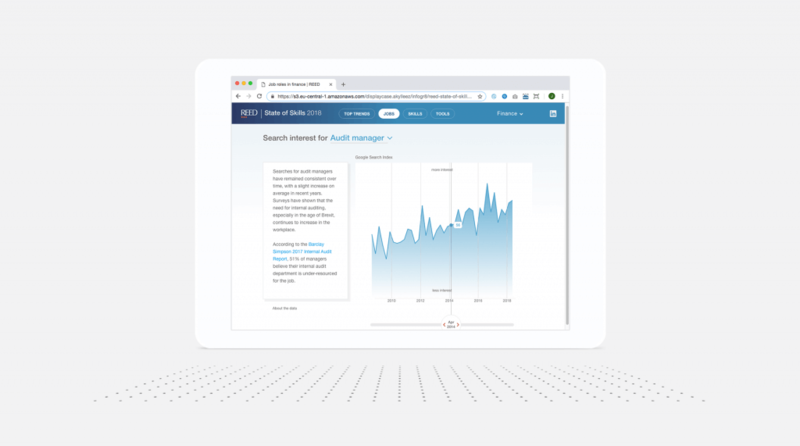 Designing a new visual approach to REED content, allowing us to distil and display editorial and data-driven content in a more visually appealing way – enhancing ease and efficiency of consumption. 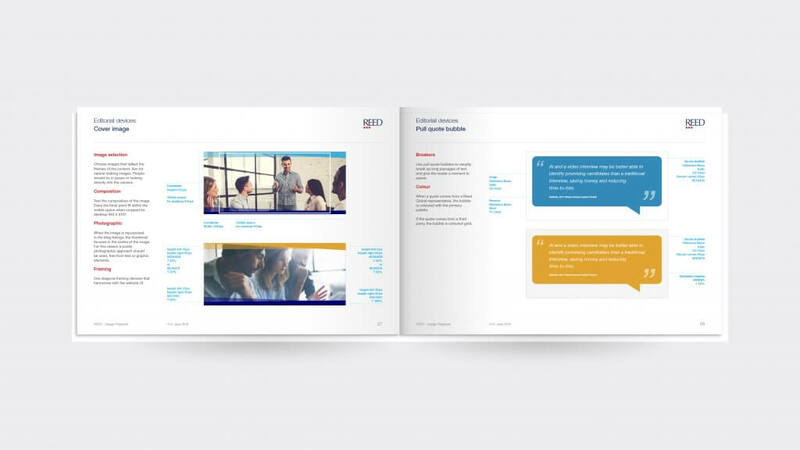 Using data design principles, we pushed the existing brand guidelines further allowing for data stories to be told alongside a more relatable, human-led approach and ensuring consistency across all branded communications. Trying new and unique formats and topics to differentiate the brand as a thought leader in their chosen white space. 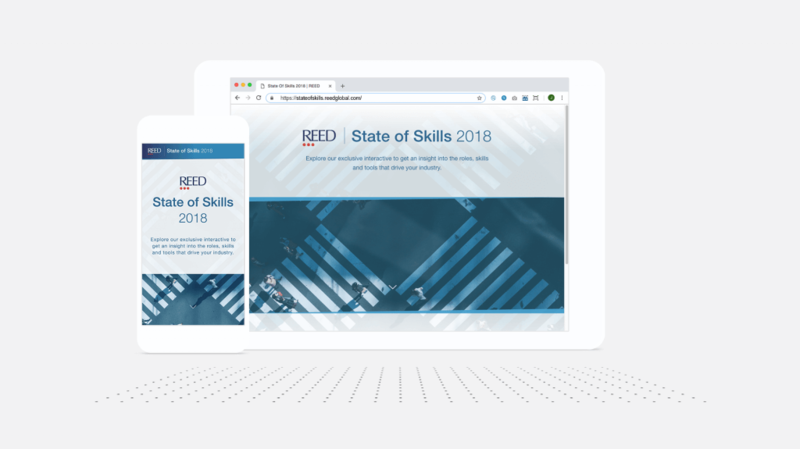 State of Skills 2018 – An exclusive interactive report allowing users to explore insight into the roles, skills and tools that drive REED’s focus industries. The new State of Skills interactive is the first interactive report of its kind within the recruitment industry. Recruitment trend white papers and reports are nothing new. Creating an interactive experience allowing users to explore the data themselves, as well as take away expert insight and commentary is however the first of its kind. We’re proud to have partnered with the client to develop a rounded solution that would engage both clients and customers directly, as well as help provide stimulus for consultants to use in conversations. Developed a reporting process that was automated and reproducible, allowing REED marketing team to extract performance metrics from the site with ease. Instead of out-of-the-box Google Analytics views, we created a new data pipeline to quickly pull out the insights that REED cared about most based on our initial stakeholder interviews. 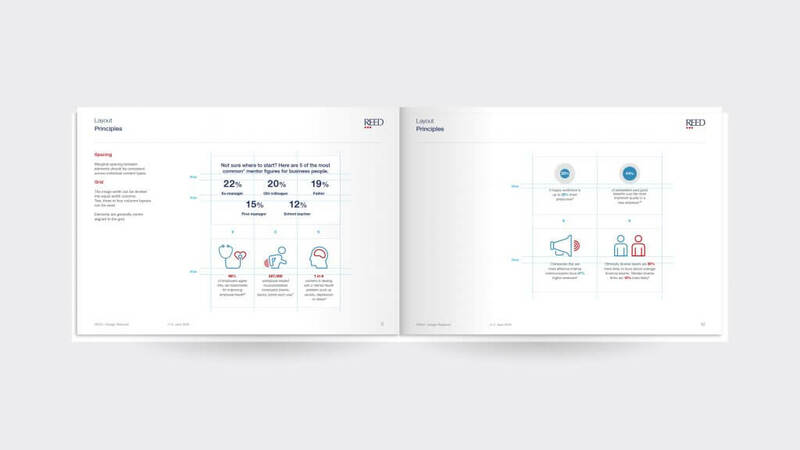 Created visual reporting allowing a range of audiences to understand and take actions based on the insights — which were tailored to be valuable to multiple stakeholders in the business. This visual reporting included adding design elements for visual reference, putting the percentage increase figures into context for those who aren’t as close to the numbers. The results of our work are clear. Where we repurposed content, there was a major increase in scroll depth. For the ‘7 Steps to a Foolproof Recruitment Process’ article, there was 168% increase in people who scrolled through 90% of the page after the redesign. Click events on ‘7 Steps to a Foolproof Recruitment Process’ also increased after the redesign, suggesting that more visual content led to more page interaction and possible CTA conversions. After implementing our new strategy, content is more effectively meeting the needs of REED’s target audience. Integrating web applications to ensure different tools work together seamlessly. Assessing all UI/UX outputs, ensuring the design is optimised for purpose and bug free.